CSGO: A guide to skins, crates, keys, trading & more! 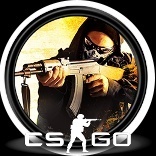 Many newcomers to CS:GO are very lost when entering the in-game economy. Therefore, I wrote this to try to help newer players understand how everything works. Skins are purchasable items that replace the look of the default gun. You can get skins by opening a crate, getting a skin drop by playing the game, leveling up in game, or purchasing one on the steam market. Skins have different wear values, the best being Factory New, and the worse being Battle-Scarred. A skin gets it's wear class from its float value, a decimal that shows the percentage of the vanilla weapon that appears with the skin. A skin with a low float, like 0.314727647, would have very little of the default weapon showing. Skins fall into different rarity values depending on how rare it is to receive one from a case. Mil-Spec (Blue) is the easiest to get, and most likely the type of skin you will receive if you open a crate. Since Mil-Spec skins are the most common, they are often the cheapest, however, not all are cheap. Restricted (Purple) are the next rarity value. They are relatively common, and for the most part worth more than Mil-Spec. The next value is Classified (Pink). These skins are quite rare and uncommon to unbox. Classified skins can be worth a lot depending on the skin you receive. The highest rarity you can receive from a case or a drop is Covert (Red). Covert skins are very rare, and therefore very expensive. You can also get an extremely rare item, but it is very unlikely to get one. In most cases, you will receive a random knife, but you can get gloves from the Glove Case and Operation Hydra Case. These items are super rare and highly expensive. Yet there is one more rarity value, but it is special. The highest rarity value is Contraband (Yellow/Golden). This rarity contains one skin, the M4A4 Howl, which is a contraband skin because it contained stolen art. Crates are purchasable containers that contain a certain csgo skin. Each crate has its own skins inside it, all belonging to the crate's dedicated collection. Some crates contain different knives, such as the Huntsman case, in which you can receive only a Huntsman knife if you unbox a rare special item. You can get a crate by buying on on the steam market, trading for one, or getting dropped on in-game. Certain crates are dropped less frequently than others, and the crate you will receive is random. Keys are purchasable items that allow you to open a case. Most cases require a specific key to open, like how the Gamma 2 case specifically requires a Gamma 2 Case Key to open it. 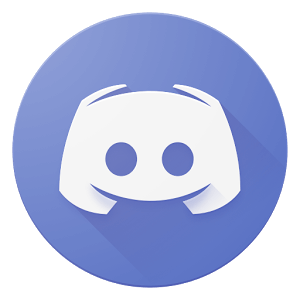 Key prices vary on the market, but are always $2.49 USD in-game. Unlike skins and cases, the only way to get a key is either to trade for one, or to buy one. Keys are never dropped from anything. Many users trade their skins or other items for another players items. Some users are willing to overpay (give skins worth more than yours), and some require that you overpay. When trading with another steam user, always ask about their policy on overpay. However, many scammers exist whose sole purpose is to steal your items from you. To avoid getting scammed, keep a close watch on how the person is telling you to trade. If they tell you to go onto a website, do not do so. Another common tactic is to try and rush you into making a deal. There is no rush when steam trading, so take your time. The one thing you should always remember is that the SAFEST way to trade is through direct trading in steam. There is no reason for you to use another way of trading or to offer your items without receiving something in return. Often scammers have private inventories, and a link to another inventory in their bio. Some users do this and are not scammers simply because they like to have a storage account. However, this is very common among scammers to do. Scammers often use websites to find steam accounts, then send them friend invites. If someone adds you to their friends list, it does not automatically mean they are a scammer. But always proceed with caution with people you do not know personally. Scammers often message you quickly after you accept them as well. Another thing to look out for is if they have CSGO or not. 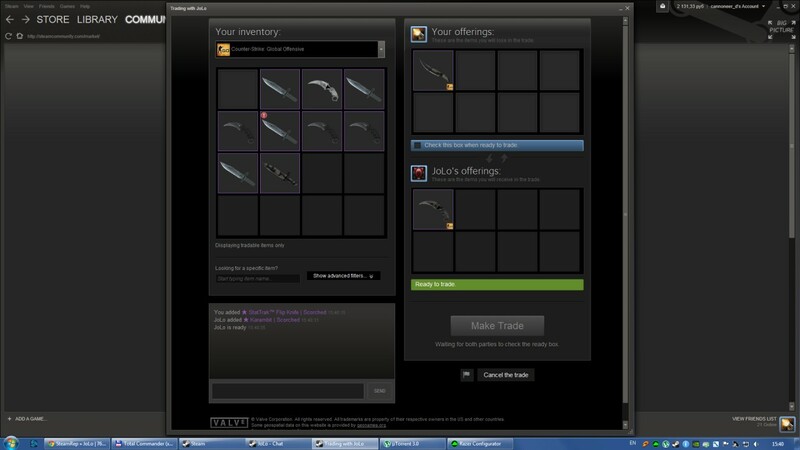 It is often for scammers not to own CSGO in the first place. Always take your time and use your head when trading with another user. Never offer your items to someone without receiving something in return. Always take caution when trading with someone you do not know personally. What if I do get scammed? Getting scammed is a horrible feeling. There are many many different methods of scamming, and new ones are being created every day. Sadly, Valve cannot replace any of the items you lost by being scammed, nor can they reimburse you for it. A StatTrak skin is a skin that will track the number of confirmed kills you have gotten while using the weapon. It is fitted with a digital counter that displays your number of kills. Having a weapon skin with StatTrak makes it worth more than the skin without, something to keep in mind when trading. What is the most expensive CSGO skin? The most expensive skin currently would be the AWP | Dragon Lore in Factory New condition. This skin is worth around $3,000 USD due to its rarity. However, the most expensive skin ever sold was a StatTrak Karambit | Crimson Web in factory new conditon, which sold for $20,000. 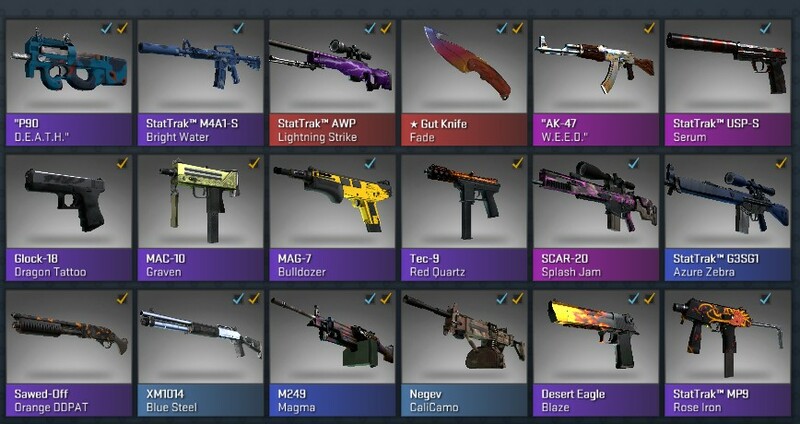 Is there a list of all of the CSGO skins?